I, no, WE love Frozen. 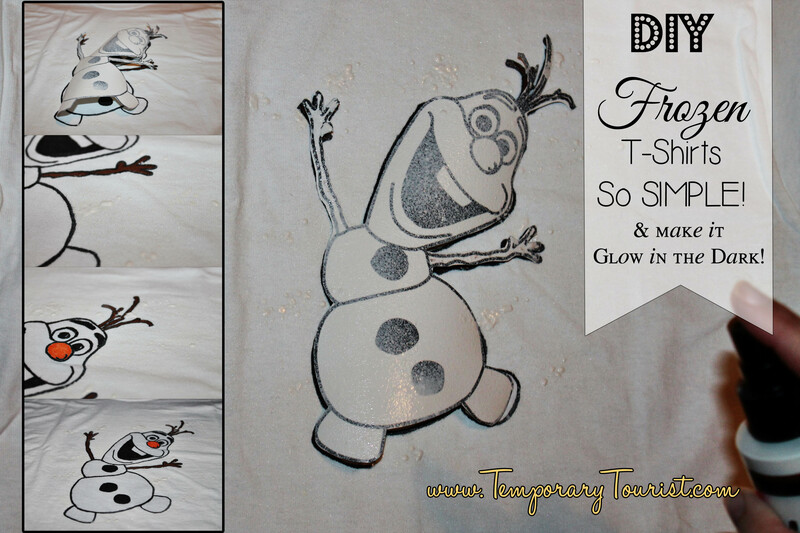 We love all things Frozen. We are addicted to Frozen. 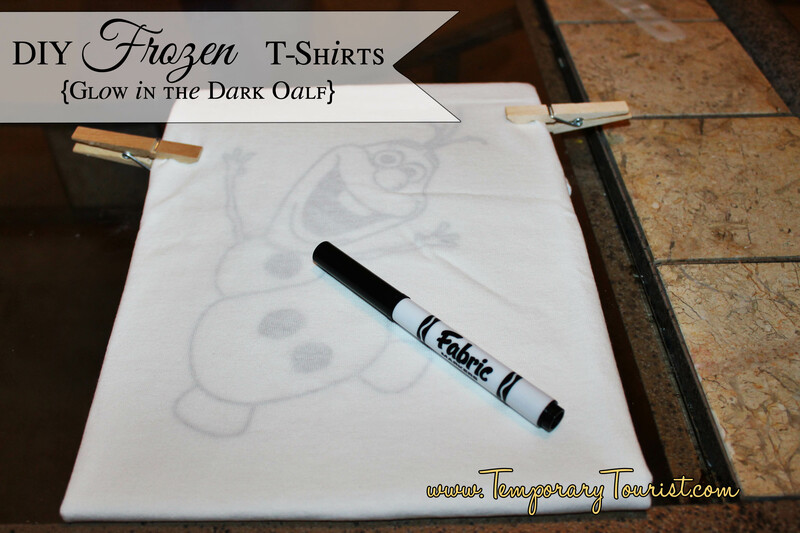 And Disney doesn’t have enough Frozen Merchandise. We see some t-shirts pop out here and there now. 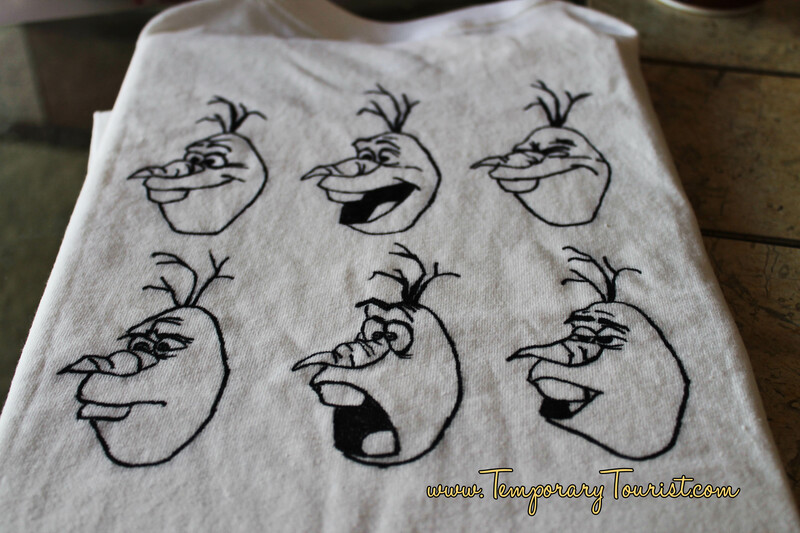 None of the original Frozen merch from November has been in the parks since before December. I would like to see some of it come back. The dresses are a HOT commodity in the parks. While Carson desperately wanted one, when we finally lucked into being in the right place at the right time, he changed his mind after he tried it on. The Elsa dress is VERY scratchy and for my Sensory sensitive (Autism Spectrum) kid, it was too much to handle. 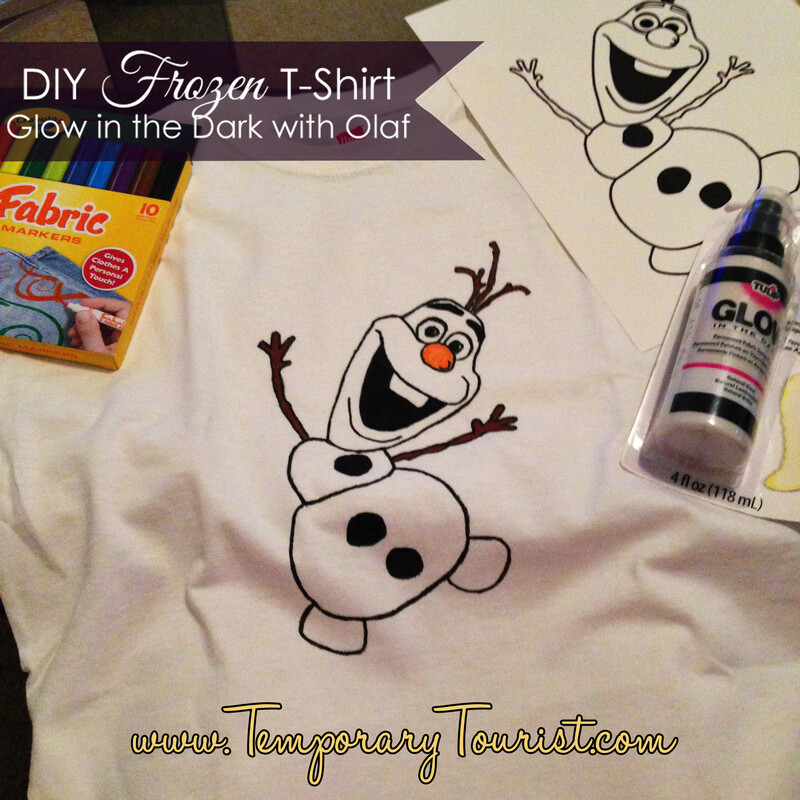 I love Oriental Trading Company, and I started perusing their site to see what they had to help me create some custom Frozen t-shirts. 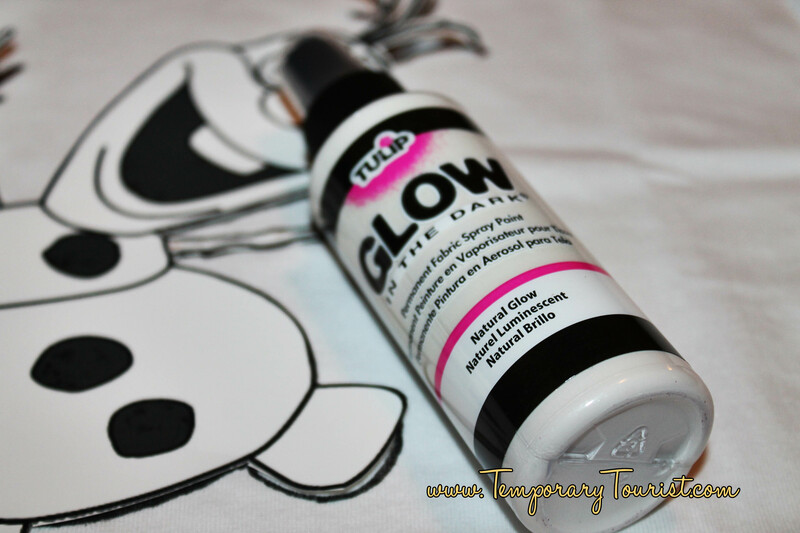 I was ECSTATIC to find the Tulip Glow in the Dark Spray Paint and my ideas sprang from there…. 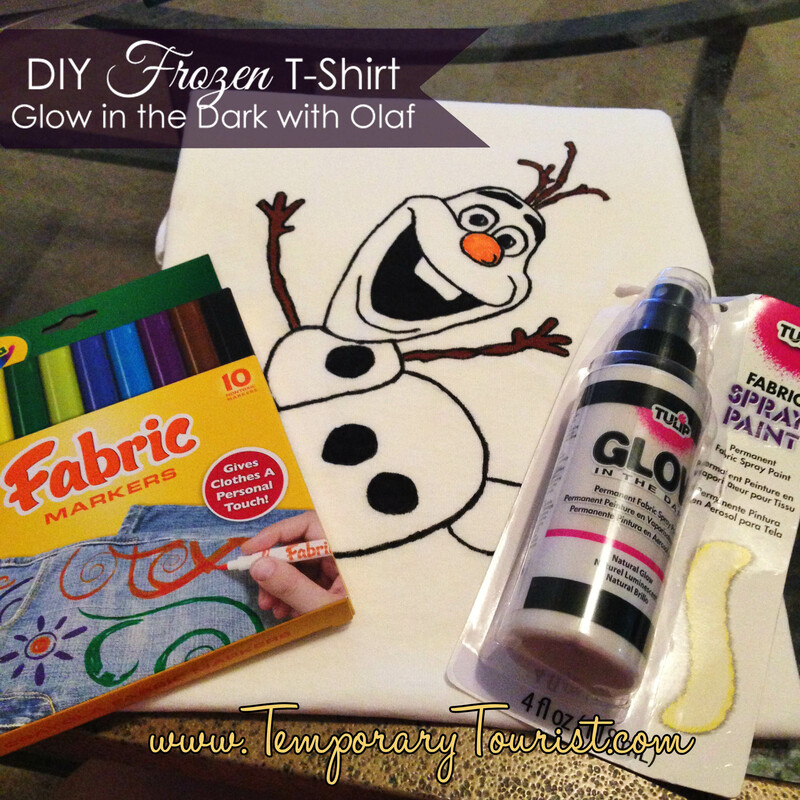 Make it Glow – After you have traced your design on your shirt, colored in the areas you want and are all done with the marker portion. 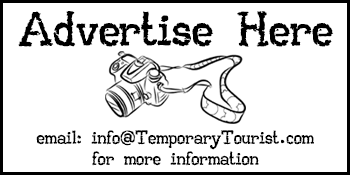 Take your template and do a rough cut out of it. Leave about a 1/4 of inch around it as you cut. 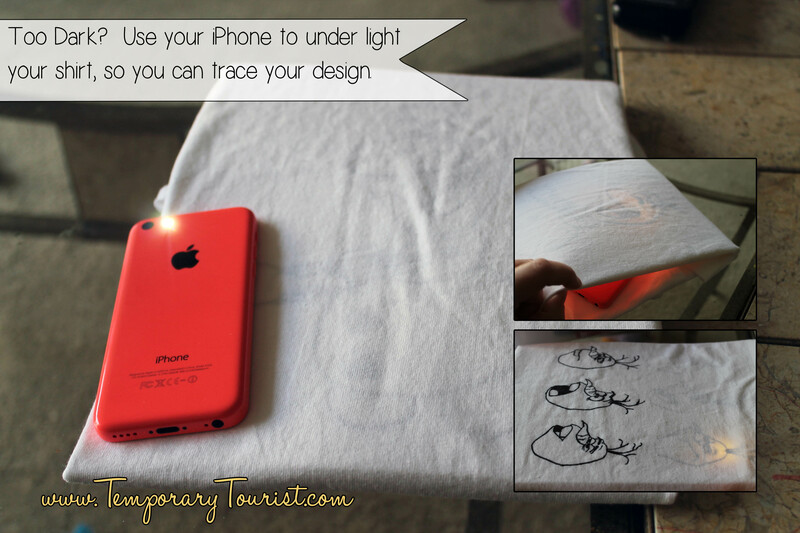 Add double sided tape to the bottom and place on top of your design. 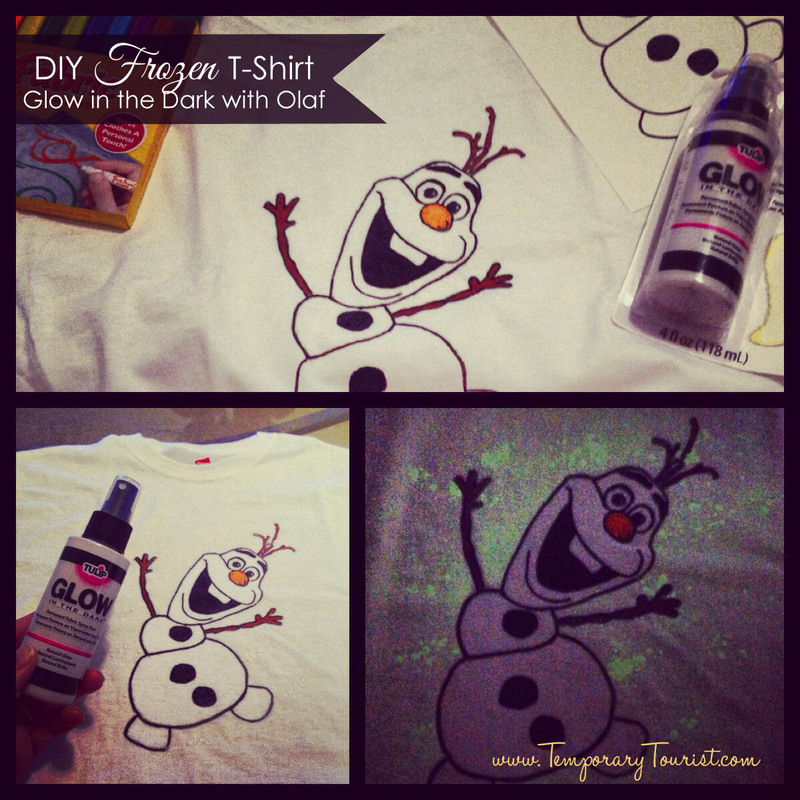 Now take your Glow in the Dark Spray Paint and hold it about 10 inches from your shirt and spritz. I stopped when the template was covered and curling. Yes there will be large chunks of spray that land on your shirt. 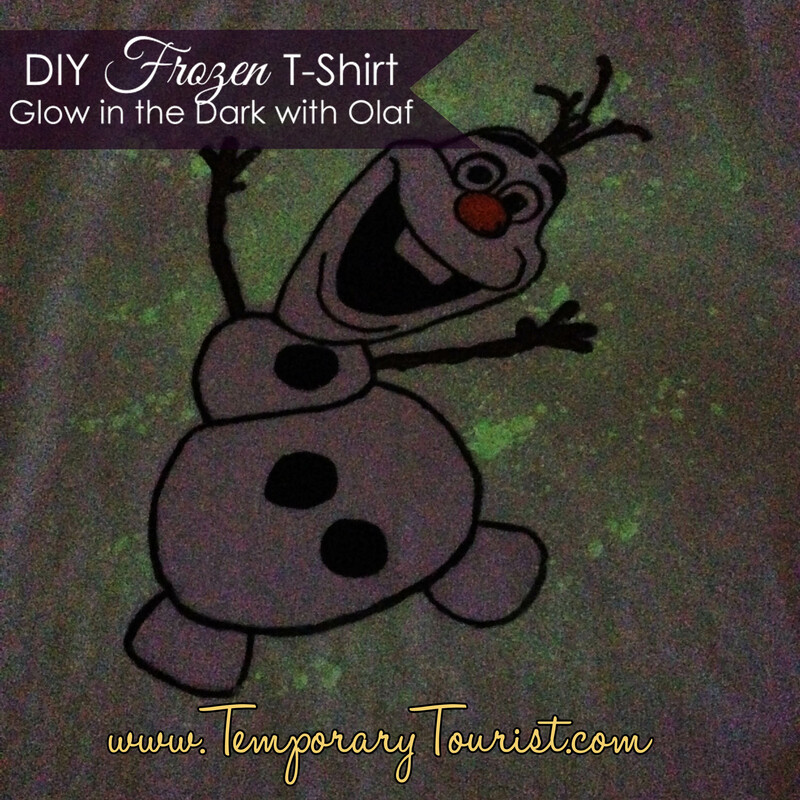 I personally wanted that to happen as it makes it look like snow when it is glowing. If you don’t, then hold the spray bottle further back and make sure you are in front, spraying horizontally at your shirt, not over spraying down. So cute! My son is loving Frozen! 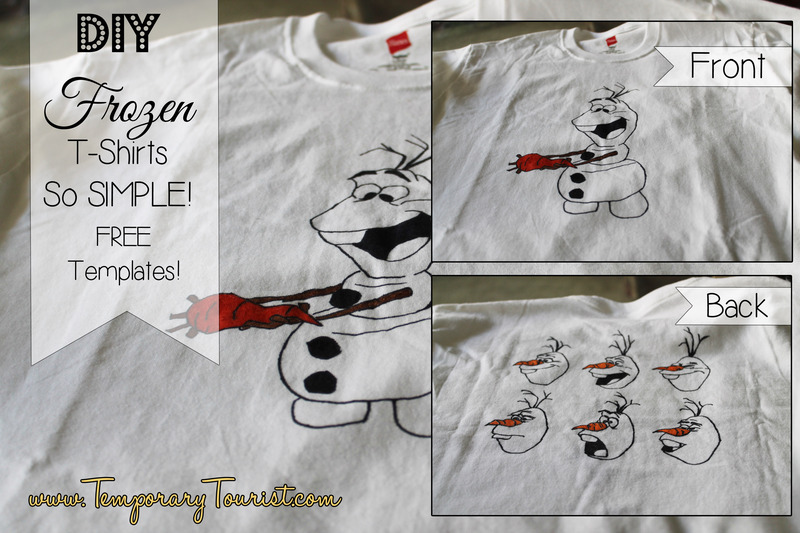 Of course his favorites, Olaf, Sven and Kristoff! Nice change of pace from all of the boy movies and super heros for mom! My grand daughter of course! If we win, I’d give the shirt to my daughters. 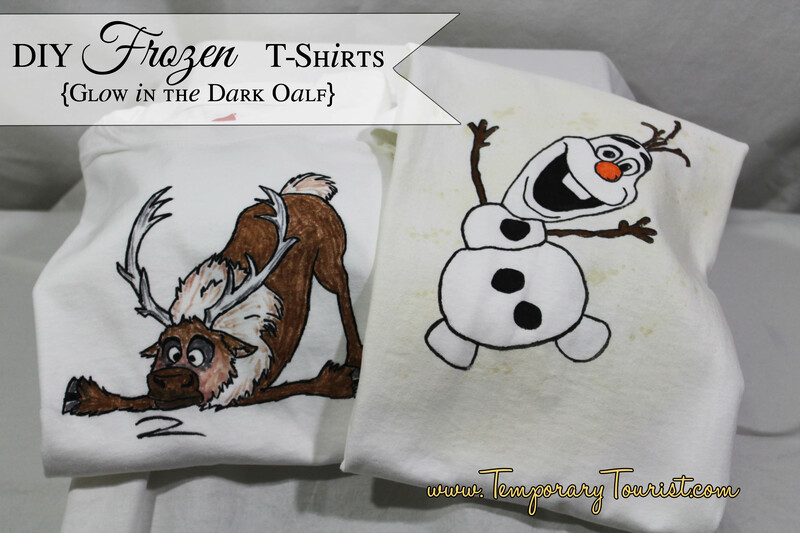 They are 9 and 6 and we have desperately been searching for Frozen shirts. If I was to win my son would get the shirt! He LOVES Frozen almost as much as Mickey Mouse! I would give to a good friend of mine who has a kid. Olaf is my favorite. I would give this to my son! And our favorite character is Olaf! My niece Alexis will get this shirt to wear for her 6th bday party on April 9th!! She watches this movie everyday with her mom!! My son would be the one who would get the shirt. My favorite character is Olaf. He is so funny!!!!! I forgot to say Sven is my favorite character…probably because Disney does such a great job giving characters a voice, when they never say a word! And I’ll give it to a niece if I win! My son would love one of these shirts! 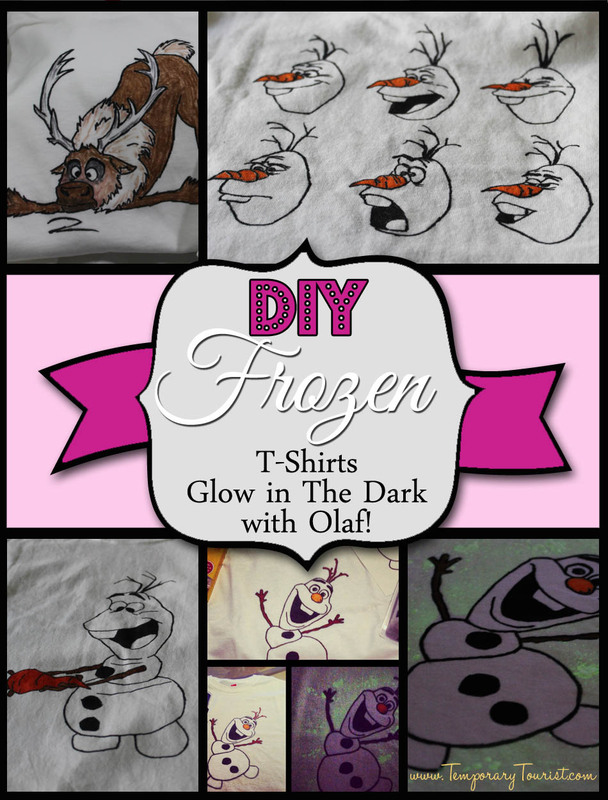 My youngest daughter loves Frozen! She isn’t into the girly shirts, so these would be perfect!!! And my favorite character is Olaf. Of course, dd6 will get the shirt! And my favorite character is Elsa!